OGC Nice vs FC Girondins de Bordeaux predictions for this Ligue 1 clash between two teams split by just two league places. Neither side have had fantastic starts to 2019 but will hope they can capitalise on each other’s misfortune with a win here. Read on for our free betting tips and match preview. Patrick Vieira’s Nice side have started the year in the worst possible fashion as they were thumped 4-1 by 13th place Toulouse in the Coupe de France. It was a pretty pathetic performance from the Eagles who offered so little going forward, and even less going backwards, which is quite a fitting metaphor for the club as a whole. The Vieira appointment is still to grow wings and fly as he has failed to continue on from the toil of ex-manager Lucien Favre. Nice sit 10th in Ligue 1 and have only scored two goals in their last six matches. They were beginning to sort out their defence with an impressive seven clean sheets in nine games but have thrown that all away by conceding six in their last two matches. The confidence is low at the moment as they are now without a win in six games and with no January signings made yet, there is little to cheer about on the south coast. A victory would change that. 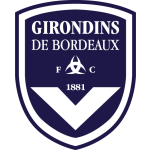 Bordeaux have only lost one of their last twelve matches in all competitions in what has been a great run under dual-managers Eric Bedouet and Ricardo Gomes. They have won five of their last eight games but this rhythm was upset when they were beaten by Ligue 2 side Le Havre in the Coupe de France last weekend, although they managed to set that wrong right with a win over Le Havre a few days later as they had coincidentally also drawn each other in the Coupe de la Ligue. None of Bordeaux’s last five games have seen over 2.5 goals as they have improved at the back with just two goals conceded in that period. Their attack has suffered though as they have developed a more conservative style of play, with them scoring just four in the last five. They have definitely matured as a team though. In the early days under the new manager setup they were very erratic and couldn’t get together a consistent run of form, that has since changed and they will go into this game against Nice with some confidence. 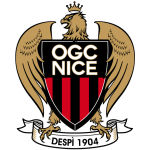 Nice have drawn each of their last three home games, scoring and conceding just one in that time but their defensive woes have greatly worsened since the last match at the Allianz Riviera, with les Aiglons conceding six in their last two games. Bordeaux aren’t great going forward so we don’t think they’ll smash loads past Nice but we’re confident they’ll be able to keep a clean sheet against this Nice side who have scored just once in their last three matches. Bordeaux won their last two away matches 1-0 and we’re going to back that to continue here against Nice. Samuel Kalu has scored two goals in his last three games and with him looking like Bordeaux’s most dangerous player at the moment, we’re backing him to get the decisive goal. Nice are winless in their last four Ligue 1 games (D3 L1), after winning their previous four. Bordeaux have won just one of their last eight Ligue 1 games (D5 L2), beating St Etienne in December 2018 (3-2). Nice are unbeaten in their last four home Ligue 1 games (W2 D2), their best run at home in the top-flight since January 2018 (also 4). Bordeaux have won just one away Ligue 1 game this season (3-1 against Guingamp in September), the worst tally in the competition alongside St Etienne and Caen. Nice have scored just 13 goals in Ligue 1 this season, fewer than any other side in 2018/19 and their worst tally in history at this stage alongside 1990/91 and 2005/06. Bordeaux are the only side yet to have scored a goal in the first half of an away game in Ligue 1 this season. Bordeaux’s Costil (17 games) and Nice’s Dante (18 games) are two of the three players to have started and captained in each of their sides Ligue 1 games this season (also Max Gradel – Toulouse (18 games). Wylan Cyprien has scored three of Nce’s last five goals in Ligue 1. Bordeaux’s Jimmy Briand has scored seven goals against Nice in Ligue 1, his favourite opponent in the top-flight.